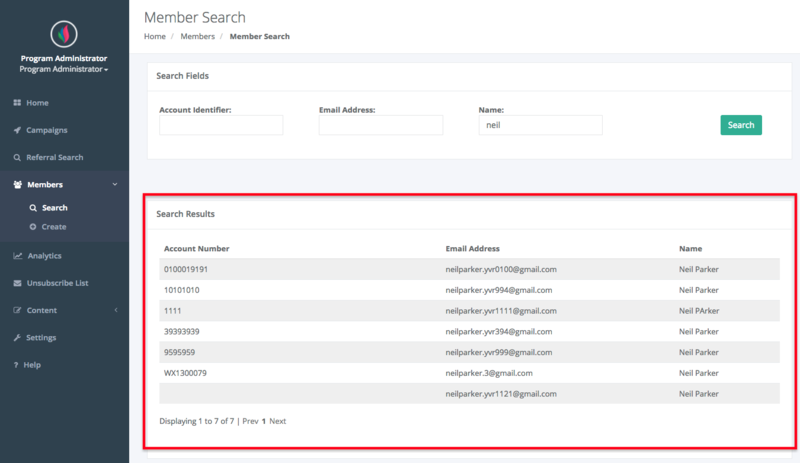 How do I search for a member / referrer in my referral program? This functionality allows you to look up referral information for a specific Referrer. Your search will return any number of Referrers based on your search parameters (e.g. Email Address, First Name or Last Name). From the search results, you can select and view specific information about a Referrer or Referee on their Member Profile page. Step 1: On the Portal Home page, click on “Members” in the left sidebar menu and click on “Search” under the “Members” drop-down. This will take you to the Member Search form. 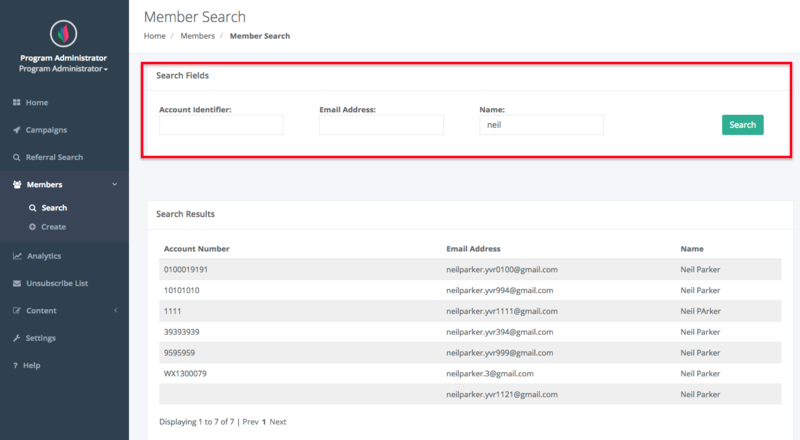 Step 2: Fill in at least one of the fields and click “Search” to find members that meet your criteria. Partial searches are allow. Searches are not case-sensitive.